Rajasthan is one of the most popular destinations in India where you can witness a myriad of colors come alive in this vibrant state. Traveling through destinations in Rajasthan will show you how it has retained its old world charm even in the 21st century. 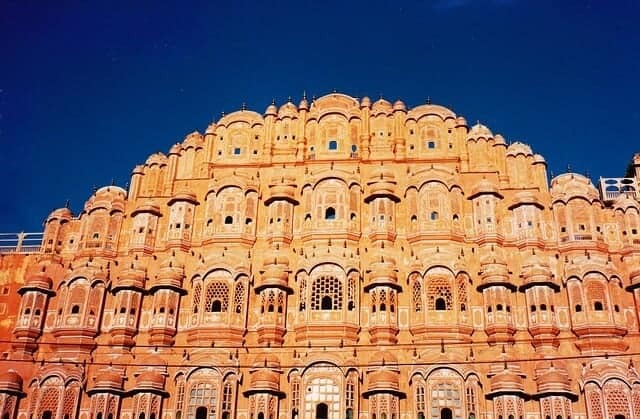 This guide from TalkTravel App suggests the best destinations in Rajasthan and what to watch out for when you are here. The following destinations in Rajasthan are best explored in the order mentioned. Of course, you can choose to mix the order and visit only those that you wish to. When is the best time to explore all the destinations in Rajasthan? The best time to visit Rajasthan is anytime between July and February. Summers are harsh and it is best to avoid going between March and June. There are rains during monsoon between July to September. 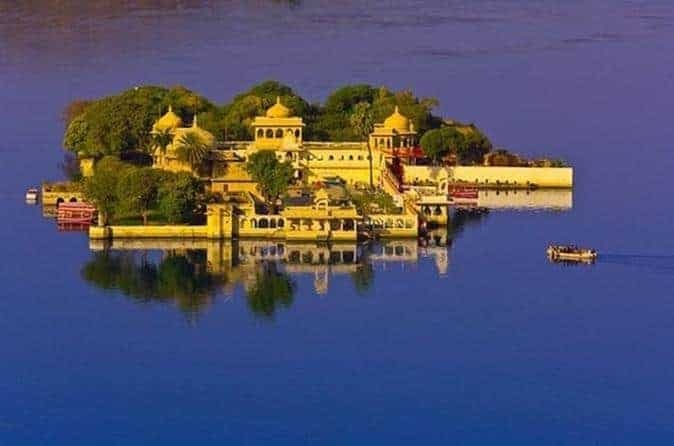 Destinations in Rajasthan like Jaipur, Pushkar, and Udaipur look refreshing when it rains as the lakes beside the palaces fill up adding an extra touch of beauty. Winter between October to February is the perfect time to explore all the destinations in Rajasthan as the daytime temperatures are pleasant. The nights are very cold as the temperatures drop, so carry warm clothing. 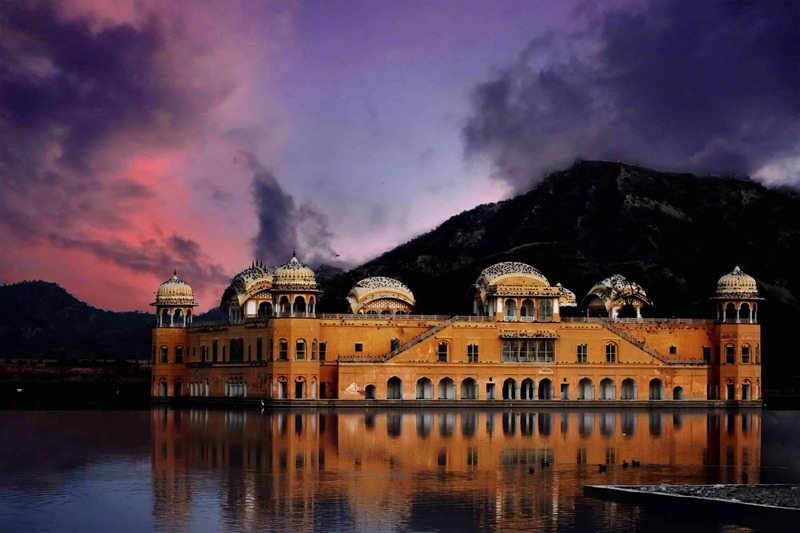 How to visit these destinations in Rajasthan? Rajasthan is well-connected to New Delhi. Rajasthan is well-connected intercity through a good rail network. Hence, it makes sense to take the train to travel from Delhi and between cities in Rajasthan. It makes it convenient to travel and there are scores of tourists like you, so it is safe. The capital city Jaipur is one of the most popular destinations in Rajasthan. The then Maharaja Sawai Ram Singh in the year 1876, ordered the whole city of Jaipur to be painted pink. This was done as a gesture of warm hospitality to welcome the British Prince Albert and Victoria to Jaipur. This is why Jaipur is known as the Pink City. Watch this video to get an idea as to how beautiful Jaipur is. 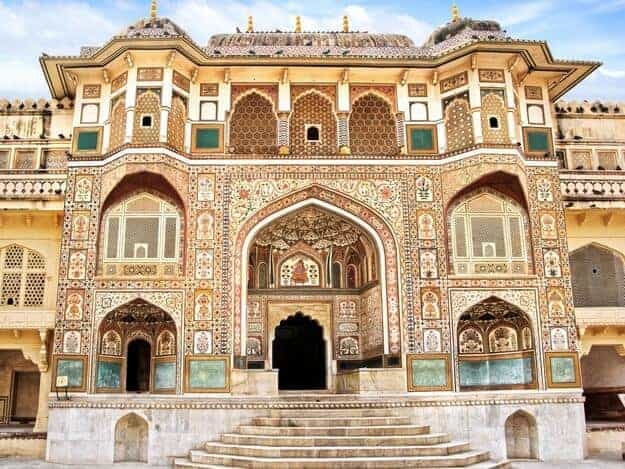 Visit the 500-year-old Amber Fort, also known as Amer Fort which is just 11 km outside Jaipur. Amber Fort was built by Raja Man Singh in the 16th century. The fort is made of marbles and sandstone. It looks magnificent with the Maota Lake reflecting the colors of the fort. There are many buses plying to the fort from the city bus station or you can conveniently take a cab. It costs 10 INR for domestic and 50 INR for foreign visitors to enter. Watch out for brilliance in architecture and grandeur in the construction of forts of those days. Art is everywhere in the Amber Fort. There are frescos, paintings, inlaid work in the walls and few of the designs are inspired by the Mughals. Watch out for exquisite artwork on the many gateways and well-maintained courtyards. Read this detailed blog laden with pictures which describes the beauty of the Amber Fort in its truest sense. An iconic landmark of Jaipur is the Hawa Mahal or the Palace of the Winds. Hawa Mahal is open on all days from 9:30 am to 4:30 pm. It is best to visit early at 9.30 am when the golden rays of the Sun fall on this Mahal which gives it a magical aura. It has a honeycomb structure, built in 1799 by Maharaja Sawai Pratap Singh of the Kachhwaha Rajput dynasty. Hawa Mahal is made of pink and red sandstone and it is built wide and acted as a viewing area for the Royal women. The latticed windows facilitated the royal women to watch street festivities and observe city life while remaining out of the view of the public. The stunning architecture of the interiors unfolds over five levels with 953 jharokhas or windows. Jantar Mantar was built in the 18th century. It is considered an architectural marvel as there are many instruments used in astronomy and the world’s largest stone sundial. This sundial can measure the time of day, accurate to half a second. 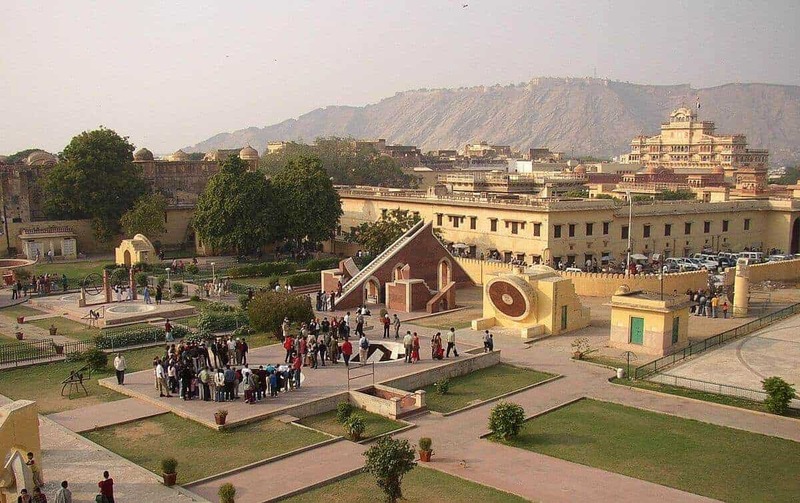 These instruments help to calculate Jaipur local time, declination of the Sun and other stars, locate the Pole star, calculate the position of various constellations and more. This is rightfully a UNESCO World Heritage Site. 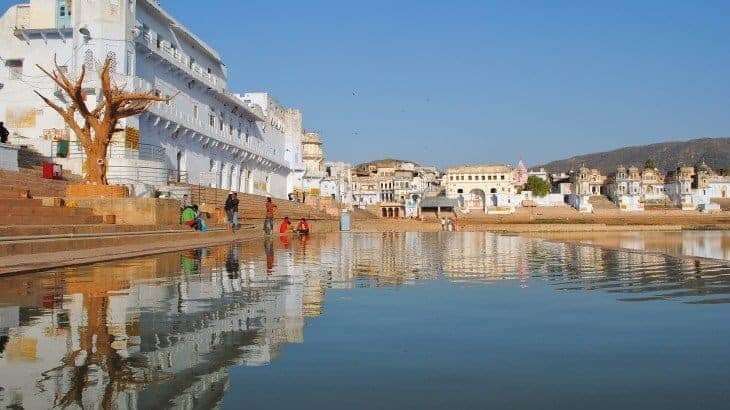 Pushkar is famous for temples and the camel fair that is organized every year. It is about 150 km southwest of Jaipur. It is a deeply religious site among all the destinations in Rajasthan. The Brahma Mandir (Brahma Temple) built using marble and rocks was made in the 14th century. It is situated near the famous Pushkar Lake. Legend has it that Lord Brahma had chosen this place for the construction of the temple himself. This temple is crowded throughout the year and is frequented by Hindus to offer prayers here. The Pushkar Lake provides the perfect ambiance of peace and utmost tranquility away from the crowded streets of Pushkar. The lake is surrounded by numerous temples and ghats (bathing spots) which make it a famous pilgrimage spot. 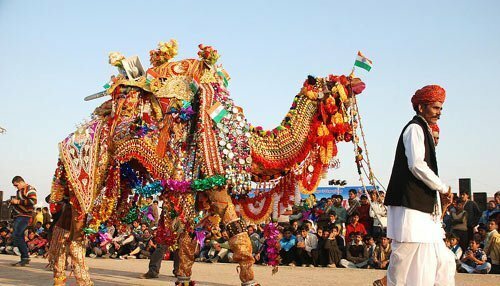 The Pushkar Camel Fair is held every year in the month of October and November. Thousands of camels, goats, horses, and cattle are traded in this livestock fair. The fair is so colorful that it attracts many visitors from across the world. Rural families shop at the handicraft stalls full of bracelets, clothes, textiles, and fabrics. The bustling streets of Jodhpur are what beckons you when you first step into Jodhpur. Though chaotic at first sight, after a while you will see the local life unfold when you enter the narrow lanes on your way to Mehrangarh Fort. 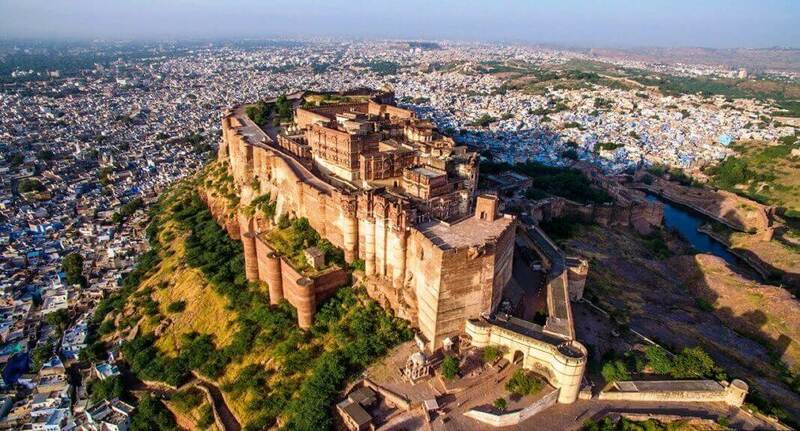 The fort sits majestically on a rocky hill which fills the skyline of Jodhpur. Watch this interesting video to see how to make the most of Jodhpur when you are here. The fort has an entry fee of 60 INR for Indian and 400 INR for foreigner visitors. The chief of the Rathore clan, Rao Jodha, built Mehrangarh Fort in 1460. Imposing thick walls enclose the fort 410 ft above the city. Just like all the other forts in Rajasthan, the Mehrangarh Fort encompasses palaces, large courtyards, thick gates and temples all within the complex. The view of the city of Jodhpur from the walls of the fort is fantastic. Indians call Jodhpur the Blue City of Rajasthan because all the houses are blue. People paint them because that keeps the houses cool during the summer. Mehrangarh Fort in Jodhpur, Rajasthan. It is a great place to view the sunrise and sunset on top of this rocky hill. The Umaid Bhawan Palace looks like a glittering jewel in the night from this spot. This majestic looking palace built in 1943 is the world’s largest private residence where the royal family of Jodhpur continues to live. The palace is now a luxury hotel, one of the best in the world! Taj Hotels manages a part of the palace as a hotel. Umaid Bhawan Palace was built by the then king Umaid Singh, who was the 37th Rathore ruler of Marwar. He built it as a means to provide farmers with some form of employment during a raging famine. 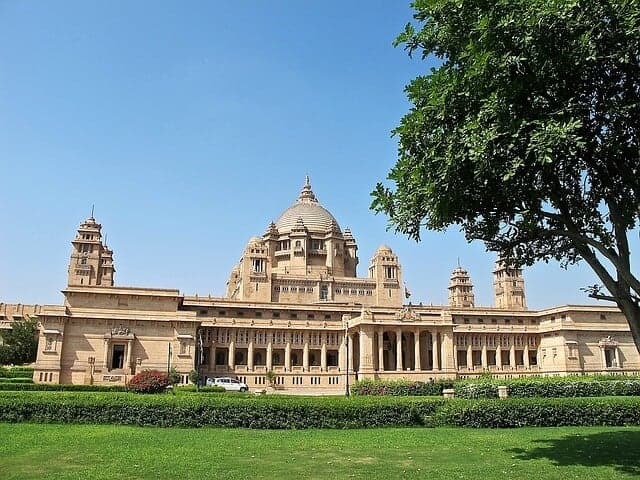 Umaid Bhawan Palace is 15 minutes away from Jodhpur. You can hire a rickshaw for 50 – 100 INR to reach this palace. There is an entry fee of 25 INR for domestic and 50 INR for foreign visitors. These immaculate and green gardens, 10 km away from the city center is perfect for an afternoon or evening visit. The entry is free but the museum inside the garden charges INR 50 per head. 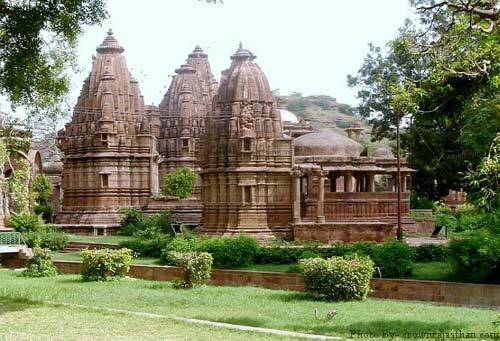 The Mandore temples have intricate architecture and look beautiful against the backdrop of the gardens. The gardens house the Chhatris (cenotaphs) of many rulers of Jodhpur. Jaisalmer is on the far western side of Rajasthan. People also call it the Golden City of India as the landscape has a golden tinge. This fort city glows because of the yellow sand and the yellow sandstone used in the construction of the fort and many houses. Jaisalmer is one of the desert destinations in Rajasthan. A trip to the desert is easy and convenient from Jaisalmer. Jaisalmer Fort sits majestically on a rocky hill. The most unique aspect is that this is the only fort in the world which has residents living in it to this day. There are many little temples and houses within the fort and the alleyways are narrow. Patwon ki Haveli which is more than 200 years is just a few minutes away from the Jaisalmer Fort. It is famous for the intricate design in the architecture. It looks like a building caught in time surrounded by modern houses built all around it. 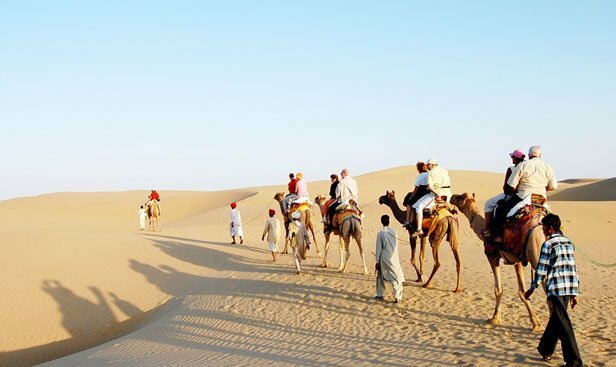 The Thar Desert is the main attraction at Jaisalmer and the whole of India. The sand is light golden yellow in color and a camel ride on the sand dunes along with an overnight camp makes for a perfect holiday. Sam (pronounced as Saam) and Khuri are two large patches of sand dunes near Jaisalmer which attract thousands of tourists every year. Sam has a stretch of sand dunes as far as the horizon and they are 15-30 ft in height. There are many local buses from the city center. Otherwise, you can hire a comfortable taxi for INR 500 for a to and fro journey. The sand dunes of Khuri are 50 km away from Jaisalmer. Take a taxi to Khuri for a comfortable ride as buses do not ply regularly in this direction. They will charge around 1000 INR ($20) for a to and fro ride. 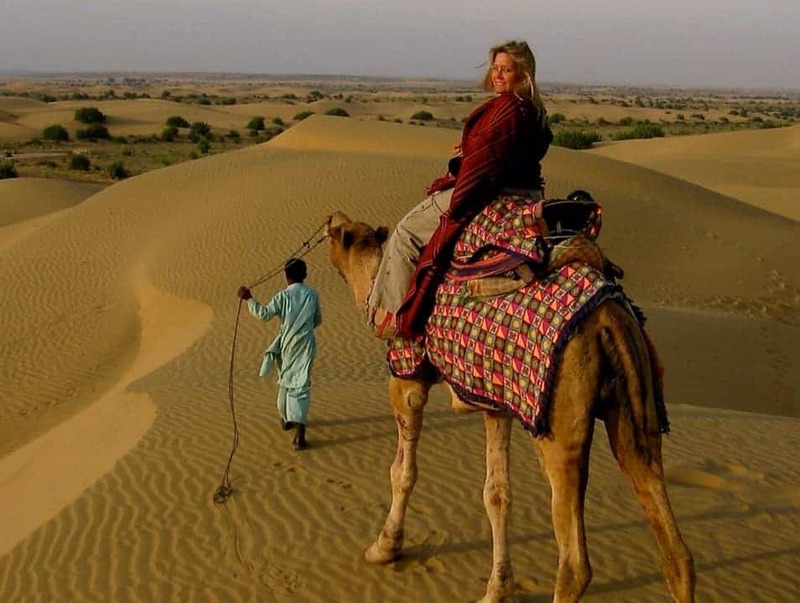 A desert safari is a must-do activity if you want to appreciate the desert landscape of India. 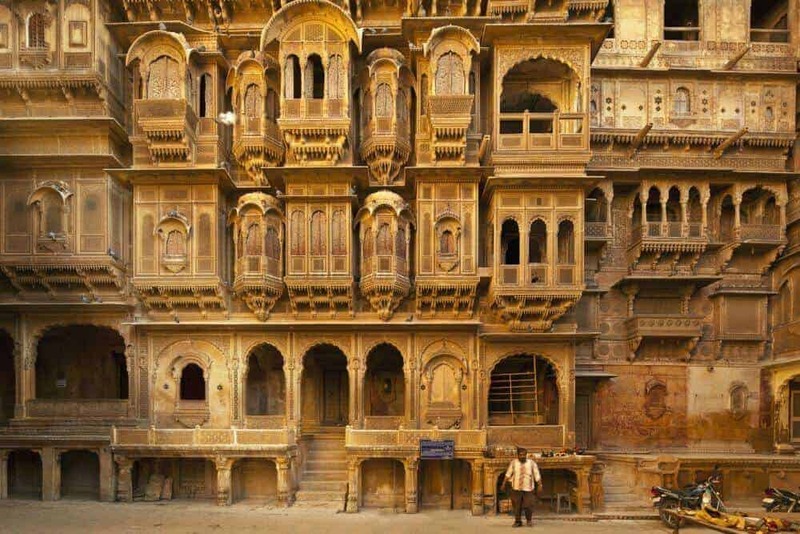 Reach out to vendors in the city center of Jaisalmer for good deals. Bargain well before settling for a price. The price for the desert safari with overnight camping is for a maximum of INR 3000 ($ 50). The organizers will drive you in a 4×4 to the edge of the desert. 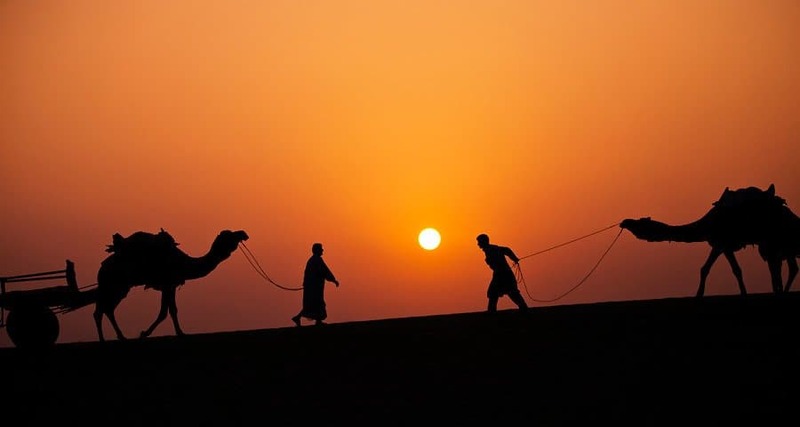 There would be a few camels with camel-pullers waiting for you to take you on your memorable journey. Enjoy the sunset from the top of the highest sand dune near your camp. It’s a magical moment to see the orange glow of the setting sun lighting up the sky and the golden sands of the desert. Ensure you have warm clothing as the temperatures drop really low in the desert. You can see many shooting stars in the night sky of the desert. 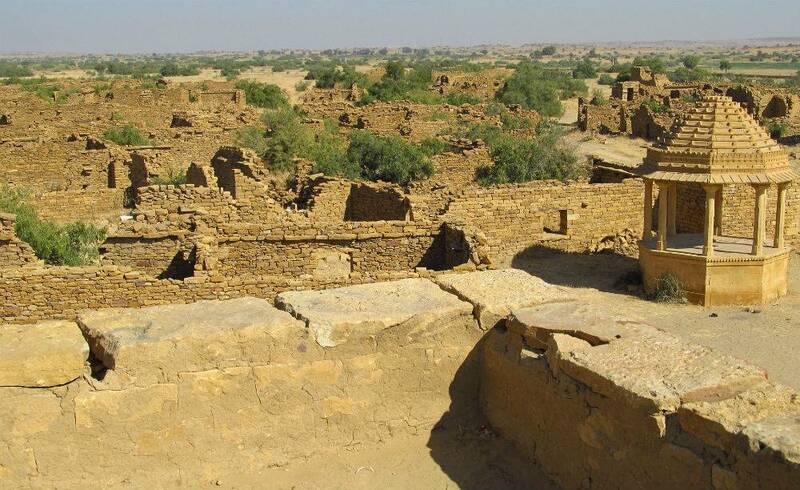 Kuldhara is located 19 km away from Jaisalmer. Take a comfortable taxi ride for 200 INR. This village has the creepy vibes and there is nobody in the village except for tourists passing by. Udaipur is a picture postcard destination with the shimmering Lake Pichola and numerous palaces in and around the lake. It is famous as one of the honeymoon destinations in Rajasthan. Watch this video to see how enchanting the city looks. Begin your Udaipur journey by visiting the City Palace. It is open from 9.30 am to 5 pm with an entry fee of 35 INR for domestic and 150 INR for foreign tourists. The City Palace looks elegant beside the lake and provides panoramic views of the city and its surroundings. The palace looks surreal in the night with the Lake Pichola reflecting the lights of the Palace. Lake Pichola is an extensive artificial lake. This is the main attraction in Udaipur and you can enjoy a relaxing boat ride in this lake. Boat rides cost 400 INR for adults per person and 700 INR per person during sunset. It is open on all days between 9 am and 6 pm. The Lake Palace called the Jag Niwas is right in the center of the lake. This white marble palace looks like a shining white pearl in the vast blue lake. This was the royal summer palace before but now a 5-star luxury hotel managed by the Taj Group. The Lake Garden Palace is a large and striking structure, wheatish in color right in the center of Lake Pichola. There is so much that you can do over 5 – 7 days in Rajasthan. You can encounter the rustic life in a desert with absolutely no access to the internet, experience royalty at its best at palaces converted to luxury hotels or live inside the Jaisalmer Fort, the only place where commoners live inside the fort! If you want to explore Rajasthan on a bicycle, have a look at these bike tours organized by Art of Bicycle Trips and experience the place as you cycle past forts, temples, mountains and the desert. Do write to us, in case you have any questions and we at Talk Travel are happy to help. If you need any help in building a travel itinerary or you have any other query, download our free Talk Travel App on your Android or iOS device to talk to our local expert. Reach out to a local expert without any additional cost and get answers for all your travel queries. Get answers to your questions before or during your travel from our local expert who looks forward to assisting you.